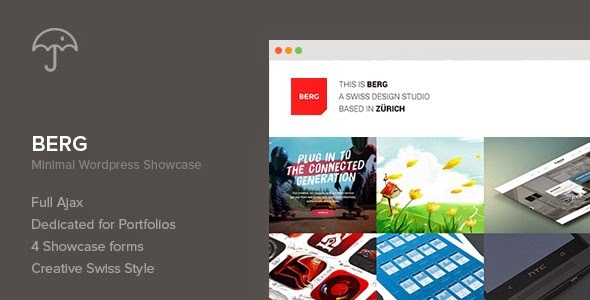 Berg is minimal WordPress portfolio template. Video Post format supports self-hosted, YouTube,Vimeo. Build with Bootsrap 3, animate.css, jQuary mCustom scroll bar, owl slider etc. Item Reviewed: Berg - WordPress Portfolio Theme 9 out of 10 based on 10 ratings. 9 user reviews.